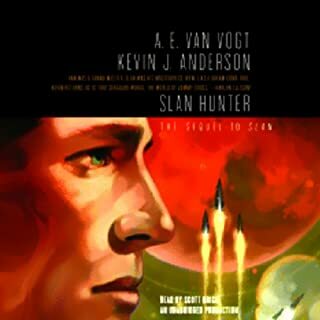 Slan Hunter tells of a towering conflict in the far future, a war among the races of mankind, as humanity - in all its variations - struggles to survive. 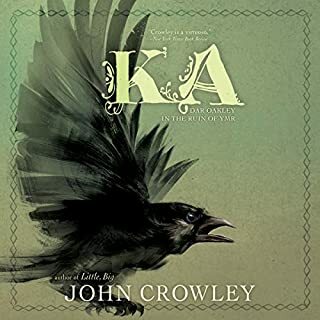 Mutant Jommy Cross, the hero of A. E. Van Vogt's Slan, returns, along with the other great characters from that book, including Kier Gray, Gray's beautiful daughter Kathleen, and the villainous John Petty. The final Slan War begins. Mya is a salvager in a system long ago mined out and abandoned by the Gallium Corporation. But when she finds an ancient ship buried deep on a moon, someone tries to stop her. What did she find? Why do they want to leave it hidden? And should Mya risk her job - and her life - to make the salvage of a lifetime? Long ago when the Earth was flat, beautiful, indifferent Gods lived in the airy Upperearth realm above; curious, passionate demons lived in the exotic Underearth realm below; and mortals were relegated to exist in the middle. Azhrarn, Lord of the Demons and the Darkness, was the one who ruled the night, and many mortal lives were changed because of his cruel whimsy. And yet, Azhrarn held inside his demon heart a profound mystery which would change the very fabric of the Flat Earth forever. The starship Earthling, filled with thousands of hibernating colonists en route to a new world at Tau Ceti, is stranded beyond the solar system when the ship's three organic mental cores - disembodied human brains that control the vessel's functions - go insane. The emergency skeleton crew sees only one chance for survival: build an artificial consciousness in the Earthling's primary computer that can guide them to their destination - and hope it doesn't destroy the human race. Jommy Cross is a slan, a genetically bred superhuman whose race was created to aid humanity but is now despised by normal humans. 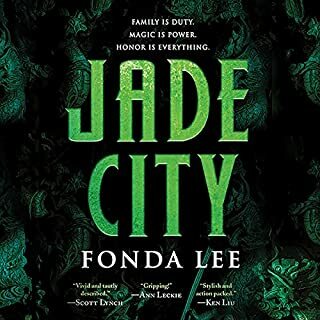 Slans are usually shot on sight, but that doesn't stop Jommy's mother from bringing him to see the world capital of Centropolis, the seat of power for Earth's dictator, Kier Gray. But on their latest trip to Centropolis, the two slans are discovered, and Jommy's mother is killed. Jommy, only 9 years old, unwittingly becomes caught up in a plot to undermine Gray, who may be more sympathetic to slans than the public suspects. The nonstop action and root-for-the-underdog plot has made Slan a science-fiction favorite. 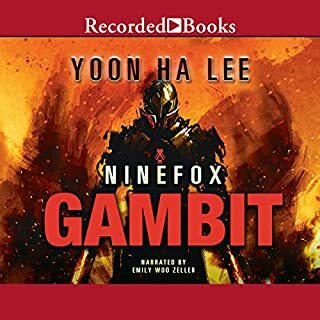 When I started this audio book, I really wondered if the reader was up to it. And, you know what? He is. It's a classic of old science fiction. I remember it from when I was young. And it still holds up. So often, with science fiction, even the big authors of today, the characters seem shallow, even whiney. I'm sorry to say that. But, that's not the case here. Van Vogt was writing much more than just a fiction of ideas. He had something he was trying to say. This was his first novel. And what a grand debut! Some reviewers, elsewhere, complain of how this novel slows down in places, of how it's not all about sustained action. In truth, that is precisely why this novel is as great as it is. It's an odd story. Slightly structured on formula, with serialized climaxes. But, van Vogt truly believed in intuition. Not just pure reason. And these things clash in this novel. Wonderfully so. So, if you like the older stuff, this is definitely one of the better ones. And the audio version carries it well. Recommended. From stories like Heinlein's Gulf in 1949 on to the many tales in the pulps and then onto things like the X Men comics and other superheroes of the marvel universe the genetic basis of so many tales of this sort can be seen to have one of their sources in Slan . The story richly deserves the retroactive Hugo it received for 1941 last year. Simply amazing for its time! A real ear burning experience. Hard to imagine how long ago it was written. Super! I could’ve kept listening to this book even if it was 10 times longer. Great descriptions and story. Atomic age tech was smoothly palatably explained without insulting the readers intelligence. The story has twists and surprises. masterfully crafted, well written, and the narrator did a superb job. 2016 Retro Hugo winner. It certainly earned my vote and I am 0leased it won. 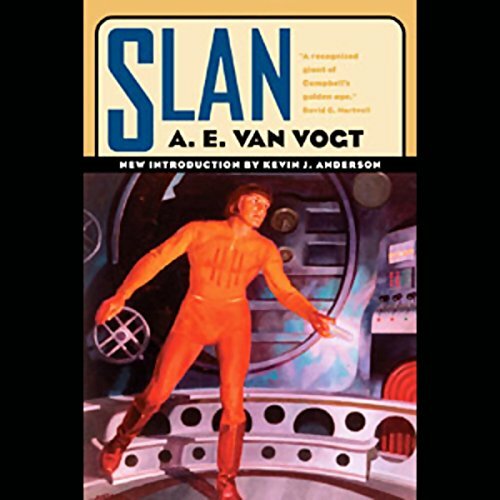 Van Vogt was once the most popular SF writer of his day. Today he's not as popular as tastes in style have changed. 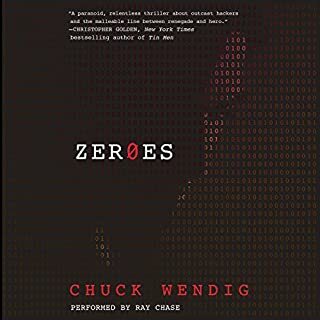 Some readers will rate this as a two star story--for stylistic infelicities (largely masked in an audio reading), comparative descriptive dearth, and basic characterizations. On the other hand, a large contingent of SF readers enjoy a break-neck pace, surprises in character and SF ideas, and a focus on its unraveling SF aspects. Since novels should be rated on what they are aiming for versus what a reader expects, I gave this four stars. 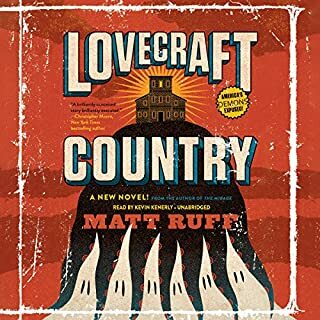 This may be a fine book if you consider when it was written, but overall it was a very disappointing book, and the narration was flat and boring.